I have to chuckle (it's either that or....) at the duplicity, hypocrisy, and ignorance exhibited by many on the right. 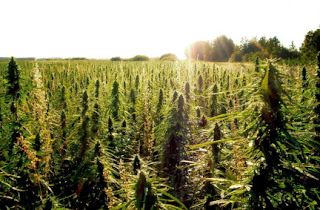 While demanding free markets, less government interference in the market, complaining of corporate welfare and cronyism, demanding that the people be allowed to determine what products the market will bear and what costs should be, they continue to turn a blind eye to the benefits of industrial hemp. They still (and here is the ignorance part) believe that industrial hemp gets you high and that is the only reason people want it legalized. *smh* Of course they still advance the notion that despite the proven dangers of cigarettes and other tobacco products and alcohol and its deleterious effects on society that those products should remain free for people to purchase and use as they see fit. After all, freedom demands that grown people should be allowed to make their own decisions, free of government interference, right? Do these people ever stop and actually think about the stuff they say?